You are here: Home / Smartphones / Sony Xperia E3 review (D2212), available from 10k. Sony had announced its budget 4G offering at the IFA 2014. This came out as a surprise, since Sony doesn’t come up with budget devices off late. We have reviewed Sony Xperia E3 device, which turns out to be one the best in its category. 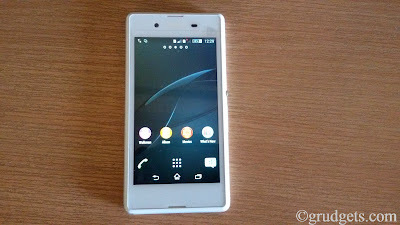 Earlier, Sony had said that M in Xperia M stands for mid ranged device whereas E stands for entry level. However, in the press release, it was described as the mid-range device. Check out our complete hands on review to know whether it is worth buying or no. It follows the typical Sony design. 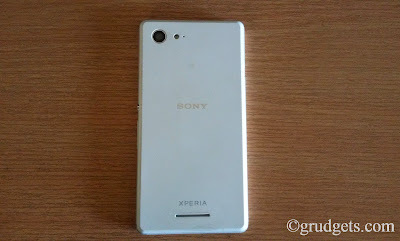 E3 looks very similar to the Xperia Z3 smartphone, except for the size. There are sharp edges unlike the ones found on Samsung devices. The aluminum finished power key is present on the right side. Just below the power key, there is volume rocker present. The front of the device houses VGA camera to the left of ear piece and the proximity and ambient light sensor to the right. There are no capacitive buttons present, there is just lavish display present on the front. The bezels are quite thick on the device, which may be a turn downside for some of you. The rear of the device feels great. It’s not finger print sensor like you see on most of the devices. There is main camera present on the top left on the rear, followed by LED flash and secondary microphone for effective noise cancellation. Though the back cover is removable, you do not have access to the battery. You can insert SIM’s and micro SD cards, which is the only reason why back panel is removable. Under the hood, it packs the most popular quad core Snapdragon 400 processor along with Adreno 320 GPU. Similar combination has been used in many devices at different budgets like Moto G 1st and 2nd Gen, Galaxy grand 2 and Redmi 1s. It is powerful processor and consumes less power at the same time. With this GPU, you can enjoy many HD games without any lags. 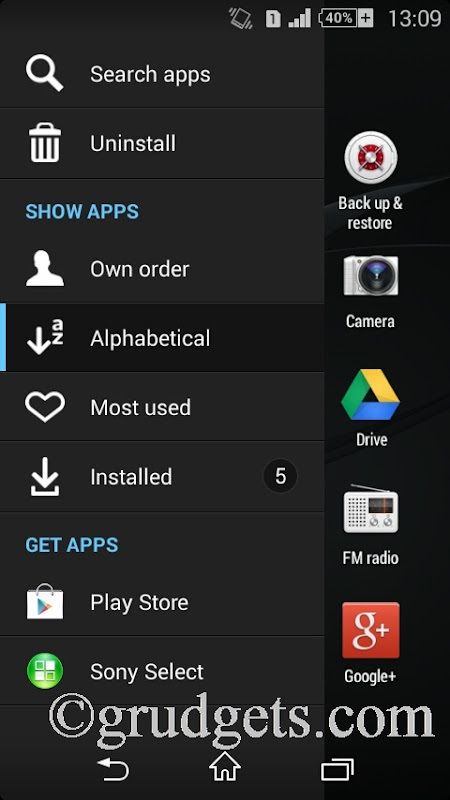 As far as OS is concerned, it is loaded with Android KitKat 4.4.2, which runs on top of Sony’s custom UI. Browsing through the app drawer, opening apps, using music player and multi-tasking with 2-3 apps was pleasant experience. I didn’t notice any lags at all. 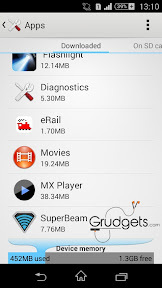 There is not much bloat ware present on the device with just few custom Sony software’s like Walkman, album, etc. being installed. There is 4.5 inches display present on Sony Xperia E3 device, with thick bezels. The on-screen buttons do take up some part of your display, which is kind of disappointing. The display resolution is average, just about 480 x 854 pixels with pixel density of about 240 ppi. It does produce some good colors and has good viewing angles. The main shooter is of 5 megapixels, which has been coupled with LED flash. Sony has also equipped it with HDR feature in spite of being a budget device. There are many scene modes present. The camera app is very simple and it proves out to be good provided that it has 5 MP sensor. You can even record full HD videos. The front facing camera is VGA type, enough for video calling. There are four different models present, out of which we have D2202 here in India. It is 3G only version, there is no LTE connectivity. It features dual SIM card slot with dual standby feature. There are micro SIM card slot which can take two GSM SIM’s. You’d be able to enjoy high speed internet connectivity with HSUPA and Wi-Fi. In spite of being budget friendly device, there is NFC present, which lacks on most of the low priced devices. Additional connectivity options are Bluetooth, GPS, micro USB port and USB host. 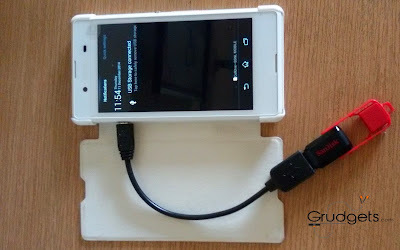 Surprisingly, it does support USB OTG, with which you can connect your flash drive. But it seems to be very selective about flash devices, it was able to detect my SanDisk cruzer 8GB flash drive but it didn’t detect Moser Baer 16 GB flash drive. 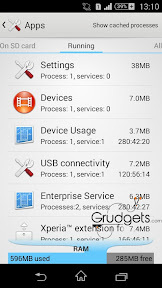 Sony Xperia E3 boasts internal memory of 4 GB alongside 1 GB RAM, out of which approximately 1.4 GB is available to the end user. This is one of the biggest drawback, but you can move apps to external SD card. To address this issue, the preinstalled apps like Ever note, Facebook and many others can be easily uninstalled since they are not system apps. The battery is pretty good on this device. 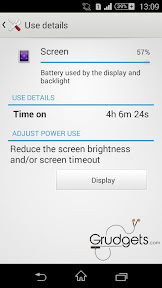 With 2330 mah Lithium ion battery, I was able to keep away from charger for about 4 days! I’d used it for normal tasks like streaming YouTube videos, browsing internet and few voice calls. 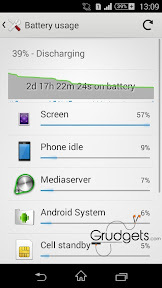 With heavy usage, you can get around 2 days easily. The device which we have reviewed here is D2212, which is 3G only device. Other models available are D2203, D2206, D2243 and D2202. D2202 is Indian model which has single micro SIM card slot, whilst others are LTE models having different bands. You can buy it online from eBay for just 10,357 INR (Dual SIM variant), which is the lowest price online. Other than that, even Amazon is offering it for 10,828 INR and Flipkart. The sales box includes the smartphone, earphones, charger, USB cable, warranty card and user guide. Sony is also running a promo, wherein it is offering three movies for free which you can download directly from your smartphone. [Video] Sony Xperia E3 review – hands on with the device. What a nice phone. Would love to have it. I think it sounds like a pretty good deal. The storage is a little bit of a bummer. Like you said I would uninstall a bunch of the apps that I don’t really use. I love that it has such a good battery life. 4 days is amazing! I am used to getting 1-2 days. Thanks for the review!